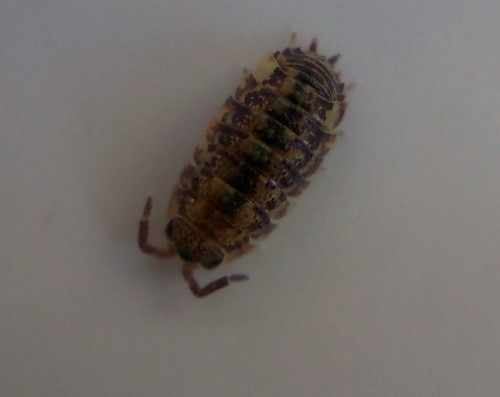 A particularly attractive woodlouse. Fully grown it reaches about 12 mm long. It has a black head, black eyes, and a dark central stripe with a row of yellow blotches down either side. Antennae with two flagellal segments. 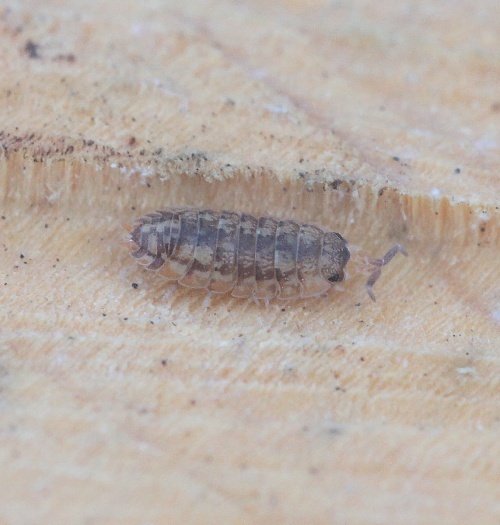 Philoscia muscorum (Common Striped Woodlouse) also has a dark central band but has a 'stepped' outline, unlike the smoother outline of Porcellio spinicornis. It is common in gardens where it likes mortared walls. It can run quite fast, but usually stays still for a while when first disturbed.